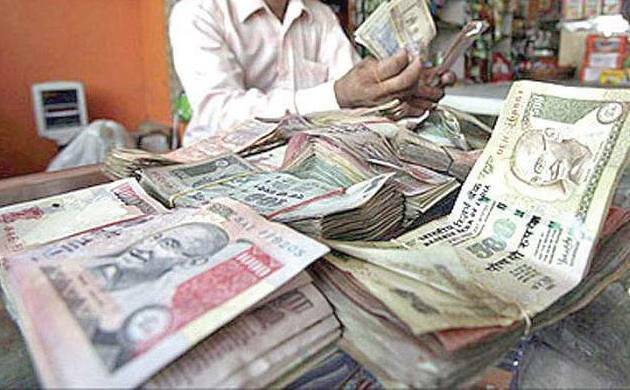 Political parties in India received a total of Rs102.2 crore 1744 donations in 2015-16 as against the Rs528.67 crore in previous year, the donation dipped 84 per cent. Donations received by national parties dropped 84 per cent in fiscal 2015-16 claims the Association of Democratic Reforms (ADR). Recently, the government announced that donation taken in cash upto Rs 20,000 will not come under any scanner by authorities. The recent report by ADR shows that seven political parties in India received a total of Rs102.2 crore 1744 donations in 2015-16 as against the Rs528.67 crore in previous year, the donation dipped 84 per cent. The report also claims that donation declared by Bhartiya Janta Party is more than thrice the aggregate declared by Congress, Nationalist Congress Party, CPI, CPM and All India Trinamool Congress (AITC). # Donation declared by BJP is more than thrice then aggregate declared by INC, NCP, CPI, CPM and AITC. A total of Rs 76.85 crores was declared by BJP from 613 donations. Congress stands at second position with receiving Rs 20.42 crores from 918 donations. # BSP in a shocking revelation says that the party did not receive any donations above Rs 20,000 during FY 2015-16, as it has been declaring for the past 10 years. # It is to be noted that BJP’s donations had increased by 156% between FY 2013-14 and 2014-15 while that of INC had increased by 137% during the same period. # National parties have declared Rs 102.02 crores from 1,744 donations of and above Rs 20,000 in 2015-16, the amount shop slump from last year’s 528.67 crore donation made to them. # Out of Rs 102 crore donations, Rs 1.45 crores from 112 donations was received in cash during FY 2015-16. This formed 1.42% of the total donations of the parties. # Maximum donations in cash was declared by INC which collected a total of Rs 1.17 crores from 10 states/ Union Territories followed by CPI with Rs 22.22 lakhs from 12 States/ UTs and BJP with Rs 51,000 from only Bihar. # Among all the states, donors from Karnataka made the highest donations of Rs 80 lakhs in cash followed by donors from Meghalaya who donated a total of Rs 21.54 lakhs in cash. Both the top donations were made to INC.
# 359 donations from corporate/business sectors amounting to Rs 77.28 crores(75.75% of total donations) were made to the National Parties while 1322 individual donors donated Rs 23.41 crores (22.95% of total donations) to the parties during FY 2015-16. # Of the 7 National Parties, 4 parties, BJP, INC, CPI and NCP had not declared PAN details of 473 donations through which the parties collected a total of Rs 11.68 crores. INC collected Rs 8.11 crores from 318 donations but failed to provide PAN details of donors while BJP collected Rs 2.19 crores from 71 donations without PAN.